The Elves are a race with a history behind them that sparks much curiosity and mystery. One of the oldest inhabitants of Gielinor, the Elves lived secluded in peace and harmony in the far west of Gielinor until a great civil conquest occurred. Only now have there been rumors of the Elves returning to Prifddinas, the great crystal capital that is home to eight of the Elf clans. Their patron goddess is named “Seren”, a being made of crystal and favoring peace and harmony. The language of the Elves is similar to Welsh, and you may find many of the names of NPCs and cities difficult to pronounce. Regardless, their unique way of life and the history behind their presence in Gielinor is one worth getting familiar with. Warning: This guide, especially the "Elf Quests" and "Plague" sections may contain storyline spoilers! Seren is the goddess of the elves and the queen of harmony. She arrived with them to Gielinor from their home world, Tarddiad, which is described as being heavily forested and containing crystal structures much like their current home forest of Tirannwn. Crystals are the basis of magical, military, and technological life for the Elves. The ability of crystal singing was introduced to the Elves by Seren after she left her home world of Freneskae, a very hostile world and full of war and the Mahjarrat. The World Gate, used as a teleportation between worlds like Freneskae and Gielinor, was primarily situated in Isafdar, not too far from where it can be found today near Arandar Pass. Seren and the Elves established a relationship in Tarddiad where she would become their patron goddess. When Gielinor was shaped by Guthix, Seren and the Elves were led through the gate and settled in the forest. Seren herself is a product of Mah, an elder god, from her home of Freneskae. Zaros and Seren were both created as opposites, Seren being light and Zaros dark. Seren remained loyal to Mah her creator while Zaros had escaped. The Mahjarrat actually gained some influence from Seren who had on several occasions posed as Mah. The Ritual of Enervation was introduced by Seren to the Mahjarrat in order to create more Mahjarrat and to keep Mah from becoming too upset from Zaros’ departure which would cause physical destruction on Freneskae. Guthix had originally intended for such a peaceful mortal race like the Elves to live in harmony without a god. However, once the worshipping began, Guthix believed that he and Seren should both retreat, and so he did return into the earth while Seren kept a low profile. Unfortunately, Seren and the Elves were victims of the ongoing struggle between the gods, notably Zaros, Bandos, and Saradomin. Forces of Zaros were arriving ever closer to the settlement of the Elves and had even taken over the World Gate from their possession, also removing their reserve of crystal. During this turbulent time in the Second Age, the Elves were divided over fighting the enemies or staying protected in Tirannwn. This split may have been the reason why not many other civilizations know of the elves. Those that left to fight were mostly killed and those that did not were secluded in their city. Zaros and Seren were former companions in Freneskae under their creator, Mah. For this reason, Zaros expressed awareness of the presence of Seren and had sent teams including Zamorak to investigate the Elven civilization. This convoy was defeated by the Elves who fought. As the pot boiled among Zamorak, Saradomin, and the other gods, the Elves who were formerly secluded were now at risk from approaching forces. King Baxtorian Cadarn, leader of the Cadarn Clan which specializes in Magic and Ranged combat, held off the invasion. Guthix awoke after 6,000 years to this destruction caused by Zamorak and the other powerful gods and was outraged at the war that had broken out. 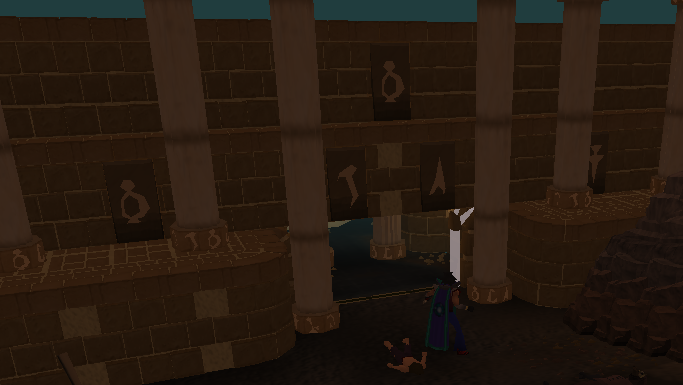 The Edicts of Guthix created a magical barrier which prevented those powerful gods from entering the world of Gielinor. 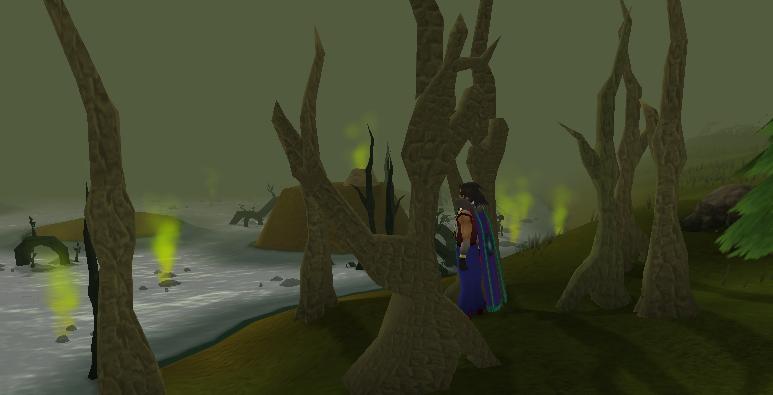 Thousands of years before, Seren had neglected her promise to leave the world, which upset Guthix. Unfortunately, Seren was forced to leave the world too. She burst out into an explosion of crystals, much to Guthix’s sorrow. The eight Elven clans are settled in a city known as Prifddinas, Welsh for “Capital City”. This is believed to be the first settlement in Gielinor. The city, with its brilliant crystal walls, is shaped like an octagon with each of the eight clans living in a section of it. In the centre of the city, an enormous crystal tower stands over the clans. This Tower of Voices enables the clans to communicate with Seren directly via their own miniature towers. A Grand Library is hidden buried underneath the city. Seren sealed this library and prevented the knowledge from being passed onto humans. The knowledge held in the library contains secrets and information that so far only the elves possess. This library has a connection to the underground Temple of Light, home to the Death Altar which the elves were one of the first to discover. Amlodd - Amlodd are skilled in Summoning and Divination. Cadarn - The Cadarn Clan is skilled in Ranged and Magical combat. They are the ones who took the task of protecting the Elves before and during the Iorwerth Clan’s attack. Crwys - Crwys specialize in Woodcutting and Farming. Hefin - Hefins concentrate in Prayer and Agility. Iowerth - Being the powerful military force they are, the Iorwerth Clan is full of experienced slayers and melee combatants. Ithell - The most famous crystal singers come from this clan. They specialize in crystal singing, Construction, and Crafting. Meilyr - Meilyr clan members are experienced in Dungeoneering and Herblore. Trahaearn - The most skilled miners and smiths come from the Trahaearn Clan. The time after the God Wars was not a time of peace for the Elves. The Fourth Age brought a tremendous civil war which would change Elf history forever. The Elves, who were no longer guided by Seren, were led by King Baxtorian Cadarn and the Cadarn clan who established ties to the east via the Arandar Pass and built the Underground Pass to be used as a trading route. The Well of Voyage located in the pass helped to transport those from Tirannwn to the east. Relationships with humans and Gnomes were formed by treaties. Without Seren and without the Cadarn Clan holding order, the Iorwerth Clan who specialized in melee combat, was starting some unrest. Having turned to an unnamed dark lord, the Iorwerth clan began a conquest of Prifddinas resulting in many deaths and the banishment of the other clans from the city and the Tower of Voices. The Cadarn Clan did not know about this until a couple thousand years after. Five scouts were sent to investigate, only one of whom returned. Adwr the scout informed the eastern-settled Elves in their new kingdom of the situation. King Baxtorian furiously demanded the release of the city. A great battle took place at Prifddinas where the Iowerth vanquished the Cadarn Clan. After five years, King Baxtorian arrived to find his wife Glarial abducted by the enemy. 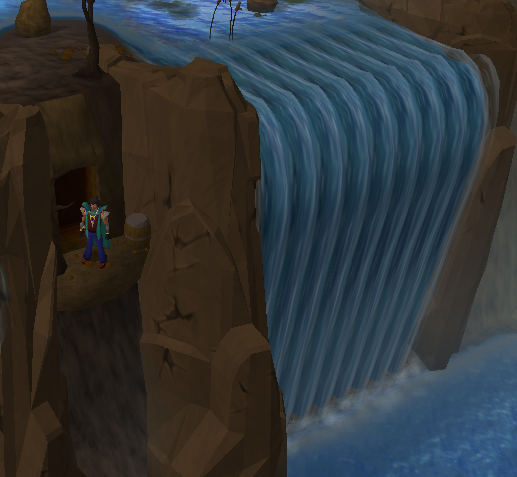 Under his sorrow, he eliminated himself from the Iorwerth opposition by sealing himself beneath a waterfall. The other eastern Elves who traveled back west were treated as renegades, and hunted down. These Isafdar conflicts held the renegades as a threat by the Iorwerth. 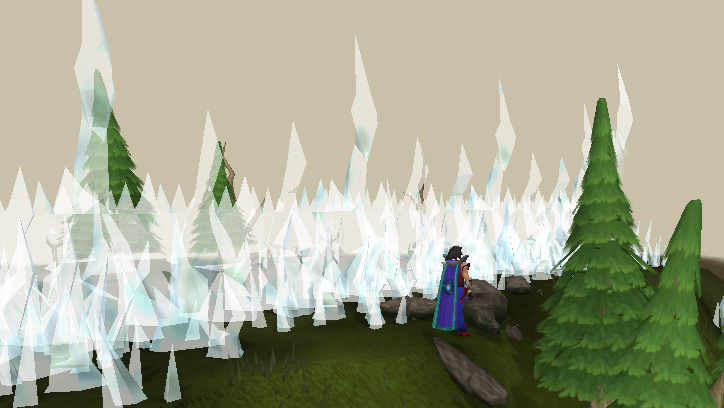 In an attempt to protect the city, Prifddinas was reverted back to a crystal seed form by the elder council. When the remaining Elves were informed of Guthix’s death and the end of the Edicts, they began obtaining pieces of crystal in an attempt to revive the city. They may even consider returning to their home world of Tarddiad. An intricate puzzle, The Temple of Light, was built by the Elves to defend the Death Altar and may even have access to the actual Elven city! Having been one of the first races to discover the it, the Iorwerth Clan has held a special interest in the Death Altar after they ousted the others of Prifddinas. The intentions of the Iorwerth’s presence were actually not clear for a long time. Perhaps they want the altar destroyed, or maybe they know the presence of something that we do not. Surely if they were able to harness the power of death runes, they could only grow more powerful. Apparently, their intention is to harness the power of the altar to summon the dark lord they had turned to. How were they able to do this? Manipulating the people and exploiting the King. The city of West Ardougne, not far from the Arandar Pass, was believed to have been contaminated with a deadly plague, possibly an allusion to the Black Death in Europe. The Mourners, the ones who contain the plague, have blamed King Tyras for bringing this disease to the city from the Elf Lands. This had caused much unrest among the people who were bitter toward King Tyras. The Mourners claim the diseases starts off mild, but then worsens until the victim dies and is cremated to avoid spreading contamination. As it turns out, this is a lie. The people of West Ardougne had their food poisoned purposely by the mourners. The effects are only the mild symptoms. Once the person exhibited those mild symptoms, the worst of “the plague”, they were taken away and healed in days. The “mourners” are revealed to be Iorwerth elves! The story of the plague is just a story, put forth with the aid of King Lathas in Ardougne. Iban, claiming to be the son of Zamorak, took control of the Underground Pass from the absent Elves where he would remain unless he is killed. Then in the sequence of quests, control of the pass would be granted to King Lathas. When people are taken away, they are taken underneath the mountain pass west of the city to dig and work while the Prifddinas Death Squad (name for the mourners here) search for the Temple of Light. The Mourners and King Lathas are using each other to their own advantage. The Iorwerth Elves disguised as mourners require access to the Temple of Light and are using King Lathus’ blessing and fictitious plague story to help. Plague City - The cities of East and West Ardougne are at risk of a terrible "plague". 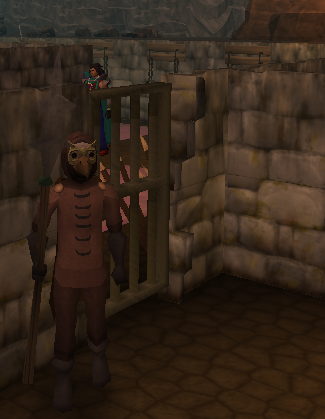 Find out what's behind it by investigating the shambles of West Ardougne. Biohazard - Infiltrate the Mourners' headquarters and help Elena further her research of the plague. Waterfall Quest - Investigate the Elven King Baxtorian and his beloved wife Glarial. Find some treasure while you're at it. Underground Pass - When King Lathas finds a treacherous path to the Elven lands, you are asked to investigate and go after Iban to restore the Well of Voyages. Regicide - Now that the pathway to the Elf territories is open, you are sent by King Lathas on a mission to kill his brother, King Tyras, with the help of the Iorwerth Elf clan. Roving Elves - A split between an Elf quest and a sequel to the Waterfall Quest, you will have to work with Islwyn and help repair the damage you have done to Glarial's resting place within the waterfall. Mourning's Ends Part I - Aid the rebel Elves by infiltrating the Mourners' compound yet again and finally get to the bottom of the plague. 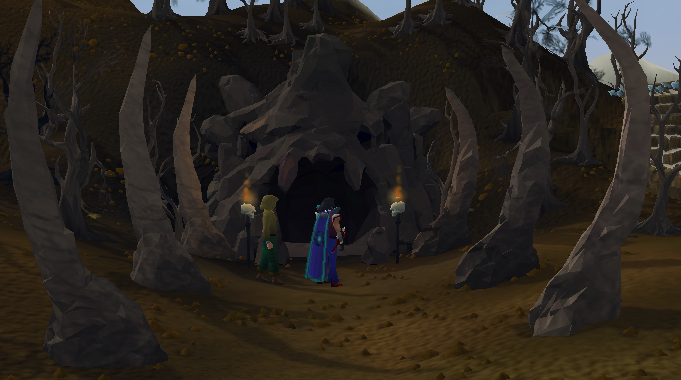 Mourning's Ends Part II - Investigate the mysterious caves under West Ardougne and solve one of the largest puzzles in the game. You may even find a new Runecrafting altar. Within the Light - Find the cause of an imbalance within the Temple of Light. After solving another light puzzle, you just may have found the entrance to the locked city of Prifddinas! Plague's End - Defeat Lord Iowerth's Dark Elves by establishing a coup in Ardougne and gather the Elven Elders to rebuild Prifddinas!